MT. SINABUNG, Indonesia -- More than 10,000 people were evacuated due to a volcano eruption in Indonesia. 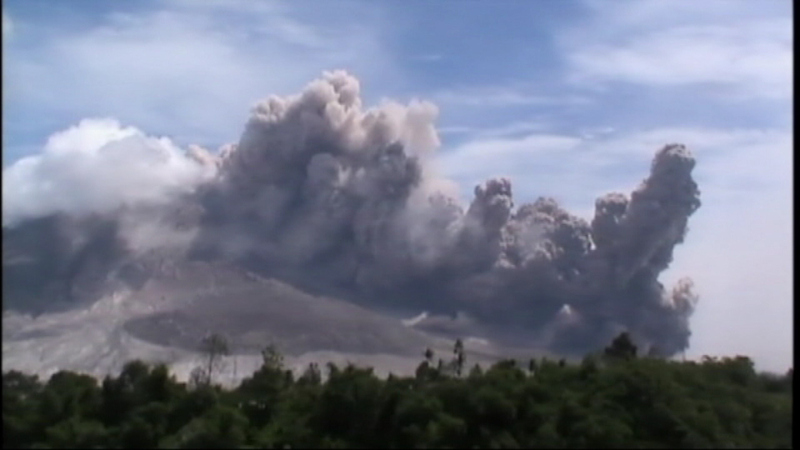 An avalanche of volcanic ash can be seen coming down Mount Sinabung. Thick plumes of ash and lava have been spewing from the volcano for days. Local officials have asked Indonesia for more aid to assist the evacuees. The potential for more eruptions remains high. Most Indonesian residents live within an hour of active volcanoes.